Adams WJ. 1974. Market structure and corporate power: The horizontal dominance hypothesis reconsidered. Columbia Law Review 74(7): 1276-1297. Anand J, Mesquita LF, Vassolo RS. 2009. The dynamics of multimarket competition in exploration and exploitation activities. Academy of Management Journal 52(4): 802-821. Areeda P, Turner D. 1979. Conglomerate mergers: Extended interdependence and effects on interindustry competition as grounds for condemnation. University of Pennsylvania Law Review 127(4): 1082-1103. Baum JA, Korn HJ. 1999. Dynamics of dyadic competitive interaction. Strategic Management Journal 20(3): 251-278. Bernheim BD, Whinston MD. 1990. Multimarket contact and collusive behavior. RAND Journal of Economics 21(1):1-26. Bulow JI, Geanakoplos JD, Klemperer PD. 1985. Multimarket oligopoly: Strategic substitutes and complements. Journal of Political Economy 93(3): 488-511. Chang M-H, Harrington Jr JE. 2003. Multimarket competition, consumer search, and the organizational structure of multiunit firms. Management Science 49(4): 541-552. Chang M-H, Harrington Jr JE. 2004. Organization of innovation in a multi-unit firm: Coordinating adaptive search on multiple rugged landscapes. In W. Barnett, C. Deissenberg, and G. Feichtinger (eds. ), Economic Complexity: Non-linear Dynamics, Multi-agent Economies, and Learning: 189-214. Elsevier, Amsterdam, Netherlands. Clark BH, Montgomery DB. 1998. Competitive reputations, multimarket competition and entry deterrence. Journal of Strategic Marketing 6(2): 81-96. Edwards CD. 1955. Conglomerate bigness as a source of power. In National Bureau of Economics Research (ed. ), Business Concentration and Price Policy: 331-359. Princeton University Press, Princeton, NJ. Evans WN, Kessides IN. 1994. Living by the “golden rule”: Multimarket contact in the U.S. airline industry. Quarterly Journal of Economics 109(2): 341-366. Feinberg RM. 1984. Mutual forbearance as an extension of oligopoly theory. Journal of Economics and Business 36(2): 243-249. Fuentelsaz L, Gómez J. 2006. Multipoint competition, strategic similarity and entry into geographic markets. Strategic Management Journal 27(5):477-499. Genesove D, Mullin WP. 2001. Rules, communication, and collusion: Narrative evidence from the sugar institute case. American Economic Review 91(3): 379-398. Ghemawat P, Thomas C. 2008. Strategic interaction across countries and multinational agglomeration: An application to the cement industry. Management Science 54(12): 1980-1996. Gimeno J. 1994. Multipoint competition, market rivalry and firm performance: A test of the mutual forbearance hypothesis in the U.S. airline industry, 1984-1988. Unpublished doctoral dissertation, Purdue University, West Lafayette, IN. Gimeno J. 1999. Reciprocal threats in multimarket rivalry: Staking out “spheres of influence” in the U.S. airline industry. Strategic Management Journal 20(2): 101-128. Gimeno J, Jeong E. 2001. Multimarket contact: Meaning and measurement at multiple levels of analysis. In J.A.C. Baum and H.R. Greve (eds. ), Multiunit Organization and Multimarket Strategy: 357-408. Emerald, New York, NY. Gimeno J, Woo CY. 1996. Hypercompetition in a multimarket environment: The role of strategic similarity and multimarket contact in competitive de-escalation. Organization Science 7(3): 322-341. Gimeno J, Woo CY. 1999. Multimarket contact, economies of scope, and firm performance. Academy of Management Journal 42(3): 239-259. Greve HR. 2008. Multimarket contact and sales growth: Evidence from insurance. Strategic Management Journal 29(3): 229-249. Haveman HA, Nonnemaker L. 2000. Competition in multiple geographic markets: The impact on growth and market entry. Administrative Science Quarterly 45(2): 232-267. Heggestad AA, Rhoades SA. 1978. Multi-market interdependence and local market competition in banking. Review of Economics and Statistics 60(4): 523-532. Jans I, Rosenbaum DI. 1997. Multimarket contact and pricing: Evidence from the U.S. cement industry. 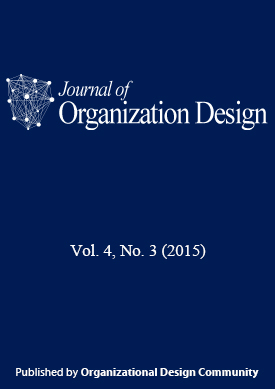 International Journal of Industrial Organization 15(3): 391-412. Jayachandran S, Gimeno J, Varadarajan PR. 1999. The theory of multimarket competition: A synthesis and implications for marketing strategy. Journal of Marketing 63(3): 49-66. Kantarelis D, Veendorp E. 1988. Live and let live type behavior in a multi-market setting with demand fluctuations. Journal of Economic Behavior & Organization 10(2): 235-244. Karnani A, Wernerfelt B. 1985. Multiple point competition. Strategic Management Journal 6(1): 87-96. Lomi A, Pallotti F. 2012. Relational collaboration among spatial multipoint competitors. Social Networks 34(1): 101-111. Mueller WF. 1971. The rising economic concentration in America: Reciprocity, conglomeration, and the new American “zaibatsu” system. Antitrust Law and Economic Review 4(1): 15-50. Parker PM, Röller L-H. 1997. Collusive conduct in duopolies: Multimarket contact and cross-ownership in the mobile telephone industry. RAND Journal of Economics 28(2): 304-322. Phillips OR, Mason CF. 1992. Mutual forbearance in experimental conglomerate markets. RAND Journal of Economics 23(3): 395-414. Porter ME. 1984. Strategic interactions: Some lessons from industry histories for theory and antitrust policy. In R.B. Lamb (ed. ), Competitive Strategic Management: 415-445. Prentice Hall, Englewood Cliffs, NJ. Porter ME. 1985. Competitive Advantage. Free Press, New York, NY. Scott JT. 1982. Multimarket contact and economic performance. Review of Economics and Statistics 64(3): 368-375. Scott JT. 1991. Multimarket contact among diversified oligopolists. International Journal of Industrial Organization 9(2): 225-238. Sengul M, Gimeno J. 2013. Constrained delegation: Limiting subsidiaries’ decision rights and resources in firms that compete across multiple industries. Administrative Science Quarterly 58(3): 420-471. Shipilov AV. 2009. Firm scope experience, historic multimarket contact with partners, centrality, and the relationship between structural holes and performance. Organization Science 20(1): 85-106. Smith FI, Wilson RL. 1995. The predictive validity of the Karnani and Wernerfelt model of multipoint competition. Strategic Management Journal 16(2): 143-160. Solomon EH. 1970. Bank merger policy and problems: A linkage theory of oligopoly. Journal of Money, Credit and Banking 2(3): 323-336. Spagnolo G. 1999. On interdependent supergames: Multimarket contact, concavity, and collusion. Journal of Economic Theory 89(1): 127-139. Stephan J, Murmann JP, Boeker W, Goodstein J. 2003. Bringing managers into theories of multimarket competition: CEOs and the determinants of market entry. Organization Science 14(4): 403-421. Stocking GW, Mueller WF. 1957. Business reciprocity and the size of firms. Journal of Business 30(2): 73-95. Strickland AD. 1985. Conglomerate mergers, mutual forbearance behavior and price competition. Managerial and Decision Economics 6(3): 153-159. Yu T, Cannella AA. 2007. Rivalry between multinational enterprises: An event history approach. Academy of Management Journal 50(3): 665-686. Yu T, Cannella AA. 2013. A comprehensive review of multimarket competition research. Journal of Management 39(1): 76-109. Yu T, Subramaniam M, Cannella AA. 2009. Rivalry deterrence in international markets: Contingencies governing the mutual forbearance hypothesis. Academy of Management Journal 52(1): 127-147.